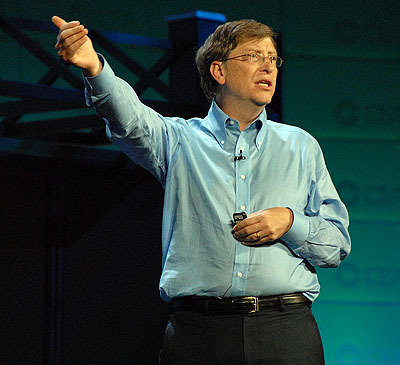 Bill Gates today is expected to announce that Microsoft plans to offer software as a service to businesses of all sizes, as part of a branded effort called Microsoft Online Services. This is a critical step forward for the software giant, which must envy fast-growing, headline grabbing SaaS companies like Salesforce.com. But it also means VARs and managed service providers should expect to both cooperate and compete with Microsoft going forward. A limited beta test of the new services is launching now, and U.S.-based companies can register for it by visiting http://www.mosbeta.com. The new services are scheduled to be generally available to businesses of all sizes in the second half of the year. Microsoft Exchange Server and SharePoint will take center stage in the new SaaS initiative. Early adopters of the Microsoft Online Services include Autodesk Inc., Blockbuster Inc., Ceridian Corp., Coca-Cola Enterprises, Energizer Holdings Inc., Ingersoll-Rand Company Ltd., PFT-Medway and XL Capital, according to a Microsoft release. Similar to Symantec’s strategy for the Symantec Protection Network, Microsoft plans to allow customers to blend their on-site software with hosted services. Although customers will be able to purchase Microsoft Online Services directly, the software giant is working overtime to point out that Microsoft Online Services will “create new opportunities for partners to resell, customize and provide consulting, migration and managed services for customers,” according to a Microsoft release. Partners that plan to support Microsoft Online Services include Atos Origin S.A., BT, Ceryx Inc., Evolve Partners Inc., Getronics NV, HCL Technologies Ltd. and Unisys Corp.
Partners that complain about Microsoft entering SaaS market may be short-sighted, MSPmentor believes. At this point, the company has no choice but to shake up its business model to compete more effectively against emerging SaaS software providers. Exchange is a saturated market. Sharepoint holds a lot of promise for those who really understand it. That’s where we’re putting our efforts.